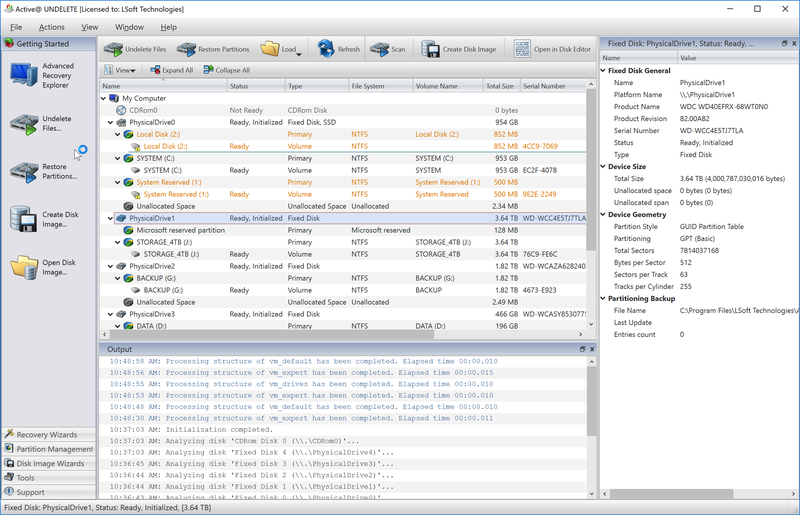 It is best to save recovered data on another logical, removable, network or USB drive. 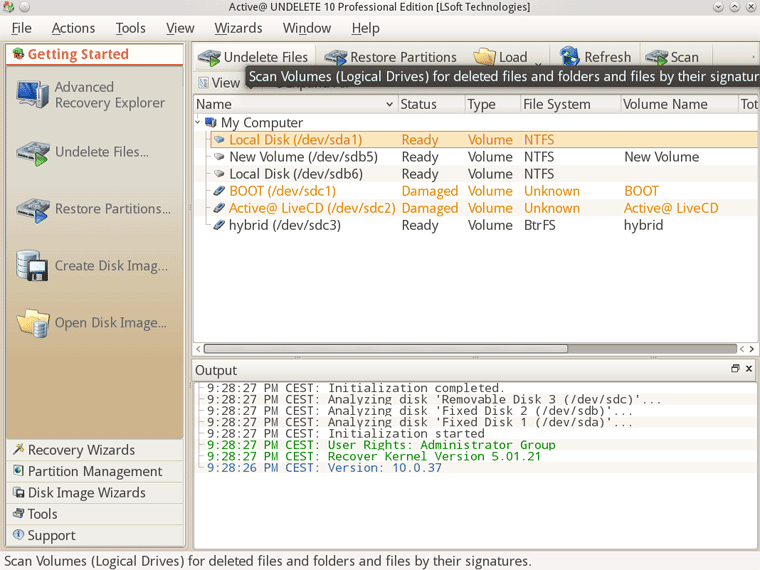 Make sure that you have access to another physical or logical drive before attempting to recover a file. 1. From the Active@ LiveCD shell, click Start > Favorites > Active@ UNDELETE. The Active@ UNDELETE workspace opens up with all available disks listed in a tree view under My Computer. 7. If volume is severely corrupted, file tree can be corrupted and not displayed as well. 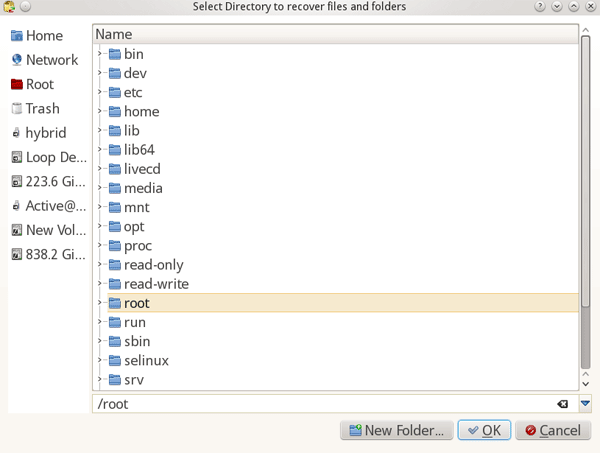 In this case try to expand Files Detected by Signatures tree, and look for your files by file type. Some file attributes, like creation time, original file name may not be recovered, however original file content can still be recovered (if it wasn’t overwritten). 9. 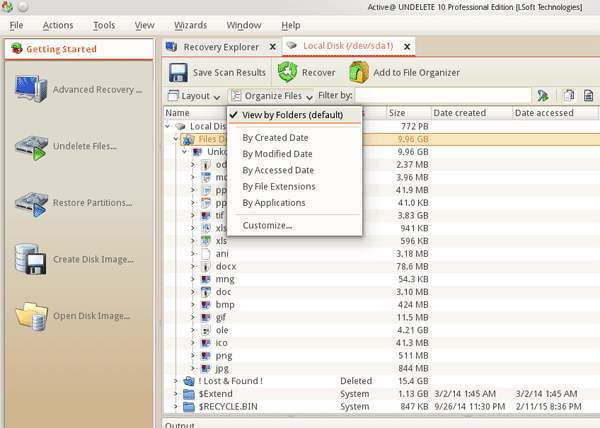 The Recovery Options dialog box opens up. The file or folder is recovered at the new location. Note! A device scan or a search may take a long time. 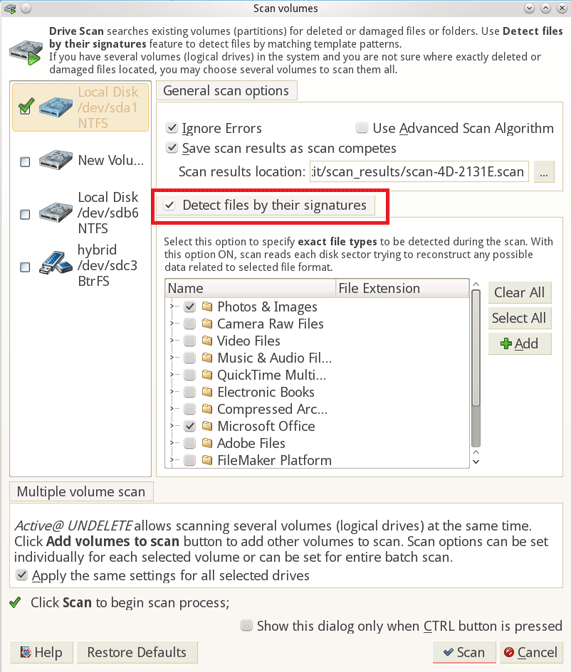 To stop a device scan or a search, click Stop at any time.